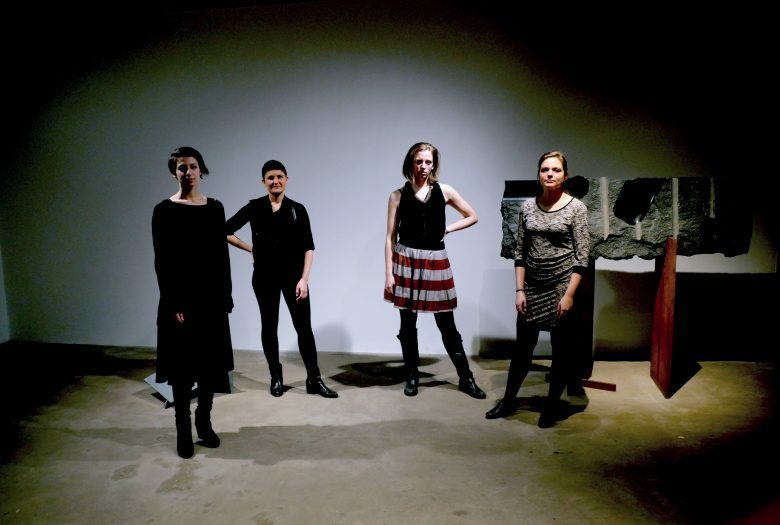 Inspired by the feminist writings of Margaret Atwood and the protest song as artistic genre, this program celebrates stylistically diverse, subversive music by three members of The Rhythm Method alongside American composer Lewis Nielson‘s powerful work Le journal du corps. Through subtly embedded anti- imperialist anthems, torch song vocals, or nearly hidden hums, each of these works incorporates vocalization in order to expand the expressive, political potential of the string quartet. From the anti-capitalist sentiment prevalent in Nielson’s work, to the post-cabaret songs of Meaghan Burke, the intricate graphic scores and suffragette-inspired work of Leah Asher, and a reflection on immigration from Marina Kifferstein, this program covers a wide range of musical material while maintaining a steady hand on the pulse of contemporary issues and aesthetics. With improvisation, vocalization, theatre, and a virtuosic spectrum of extended techniques, the performer/composers of The Rhythm Method defy expectations of genre and preconceptions of what a string quartet ‘can’ or ‘should’ do.